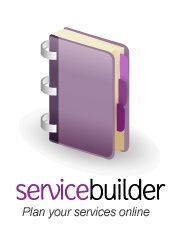 Those who lead services need guidance and training and so one of the aims of this site is to provide a tool to do this. However while this site is a helpful resource there are many aspects of developing service leaders that cannot be addressed online! If you are training service leaders this website should be used in conjunction with your own ongoing guidance so that they continue to develop prayerfully and thoughtfully for their important role. You are in the best position to train those preparing and leading services in your local context and so you will need to provide continuing feedback at various stages of the process. Before the service you can assist with the ordering and selection of various components to ensure that the service is theologically and culturally appropriate. After the service you can review practical aspects such as presentation, delivery and mood of the service. We are currently working on a downloadable template for providing helpful feedback for service leaders. This website contains a lot of material which may be overwhelming for those beginning to lead services. Over time it would be helpful to work through all the resources, however, in the short term we have provided some 'ways in' to help you find what you are looking for. Depending on your needs and preferences, you may like to begin with practical aspects of service leading or begin with a Biblical and historic perspective. Below are some suggested reading orders to help steer you around the site.